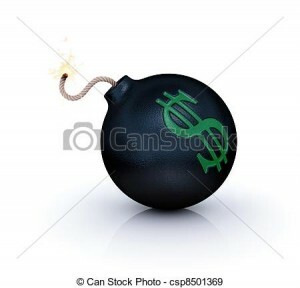 buy cheap generic propecia read the full info here Is your IRAs or 401(k)s a ticking time bomb? There are two types of retirement plans in the United States, the qualified plan and the non-qualified plan. Qualified plans include 401(k)s, IRAs, SEPs, and 403(b)s. Non-qualified plans include annuities, 457(b)s, Roth IRA, and Roth 401(k)s. The basic difference between the two is that qualified plans allow one to make pre-tax contributions, while non-qualified plan contributions are made with after-tax dollars. A qualified plan is similar to a deferred compensation plan in that the employee is agreeing to defer receipt of current income in favor of payout at retirement, thus deferring the tax due on the that portion of the income into the future when the income is received. The logic behind this decision is based on the assumption that the employee will be in a lower tax bracket at retirement age. Contrary to popular belief, these plans do not save taxes. They simply defer the payment of otherwise payable income taxes. I prefer to refer to them as tax postponement accounts. The IRS is not saying you do not owe the tax. They are saying you can pay the tax at a later date. But, at what rate will you pay the tax? These types of accounts not only defer the tax, they also defer the tax calculation. The IRS is not going to ask you what tax bracket you were in when you contributed the money to the plan. Their only concern is what bracket you are in at the time you withdraw the income. If you think you will be in a higher tax bracket when you retire you should consider other alternatives for your retirement savings. If you think you will be in a lower tax bracket when you retire a qualified plan may be a good option for you. So the question is what do you think tax rates will be in the future? One thing is certain, tax rates do change over time. These retirement accounts are most often a great source for retirement savings and most people who have access to such accounts should consider using them, especially if you are getting a company match. The problem is in not understanding them. We created The CashFlow Transformer™ to help people understand how their IRA/401(k) works. If you’d like to understand more about how you may be affected by this contact Shawn at TimeBomb@YourFavoriteLender.com.